Bells of Freedom has found that the one of the Best times to show our appreciation to our serving Military men, women and families is through our annual “The Big Thank-You” Adopt a Family project, for both our servicemen and women but also for our sponsors looking for a meaningful way to spend their tax deductible donations. Each December, Bells of Freedom works with base chaplains and commanding officers who then nominate service men, women and their families to participate in “The Big Thank-You”. To be nominated for sponsorship, the enlisted must be nominated by base commanding officers, chaplains or family readiness officers or equivalent based on need. Through your sponsoring contributions, Bells of Freedom is able to “adopt” these families by providing a Holiday celebration and delivering this celebrations directly to the families on base (deliveries available only at Camp Pendleton, California, currently). What do our military families receive? Approximately 5 gifts per child from Wish Lists provided to Bells of Freedom. And since it is the Holiday season, all gifts are wrapped in colorful holiday wrap. Would you rather “adopt’ a single service man or woman? A complete Holiday Dinner, wrapped appropriately for the Holidays and delivered personally to the base. We know you have many choices when deciding where to spend your tax deductible dollars, so please, help Bells of Freedom ‘thank’ our military men, women and children this year. 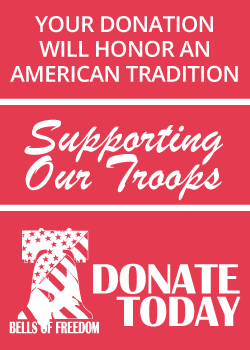 With your tax deductible donation, you will receive an acknowledgment from Bells of Freedom that your Holiday delivery is complete; your single/family enlisted will receive a note from Bells of Freedom to let them know that a caring American appreciates the sacrifices made both here in the United States and abroad. You may choose to include your name (and email address) or donate anonymously. Military Family Sponsorships start as low as $350.00 for a family of three, $200.00 for single enlisted. 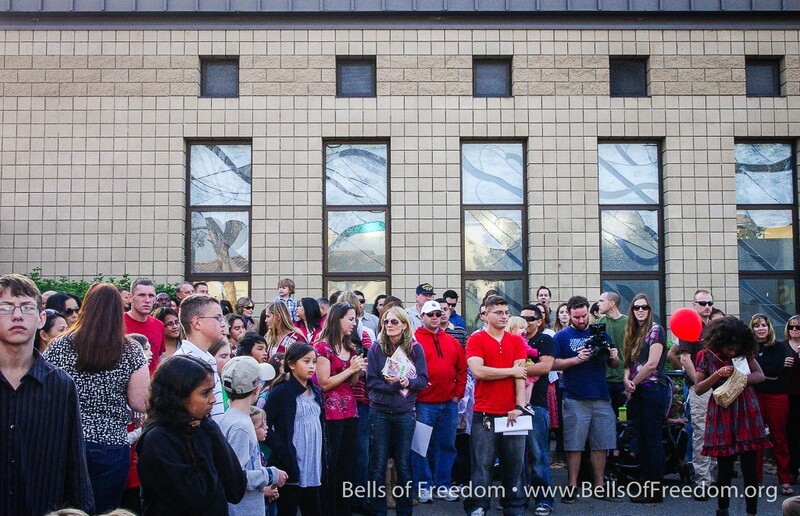 Please consider making Bells of Freedom your new Holiday tradition! We offer many ways for you to help and contribute. If something other than above, please enter the amount here.